Who is the DadPad for? The DadPad is for fathers who want to provide their child with the very best start in life. Whether you are about to become a dad for the first time, or want to ensure that you can still cover all bases with a new addition to your family, the DadPad is the low-cost, high-value resource that you will want to have within arm’s reach at all times. 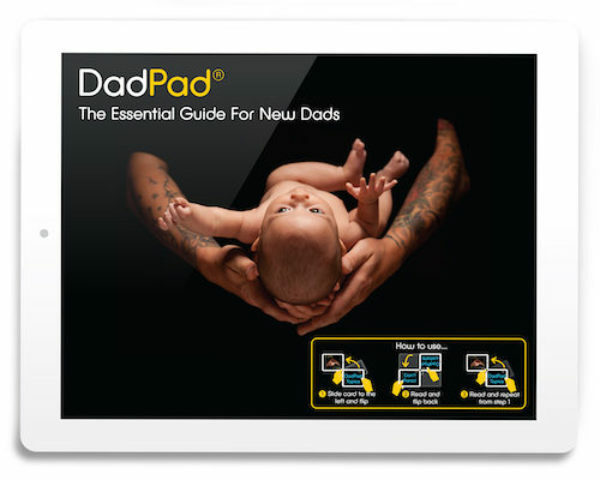 The DadPad is best utilised as early as possible during pregnancy, around birth and beyond, and provides guidance for babies and children up to the age of two. It’s particularly useful to have during paternity leave. Julian Bose, Director of Inspire Cornwall CIC, developed and co-wrote the DadPad in conjunction with a range of experts, including regional NHS and public health teams. If you have any questions, you can contact Julian by emailing julian@thedadpad.co.uk or calling 07403 274757. A practical guide to gaining the confidence and skills necessary to be the very best dad you can be.